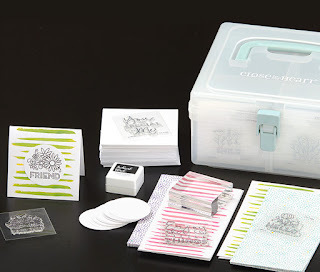 September is National Stamping Month and Close To My Heart has a great kit available only until September 30th (or while supplies last). The Create Kindness card kit contains all of the supplies needed to create 24 beautiful handmade cards that you can use to brighten someone’s day! The kit can be yours for only $46.95—a 15% savings off the retail value! 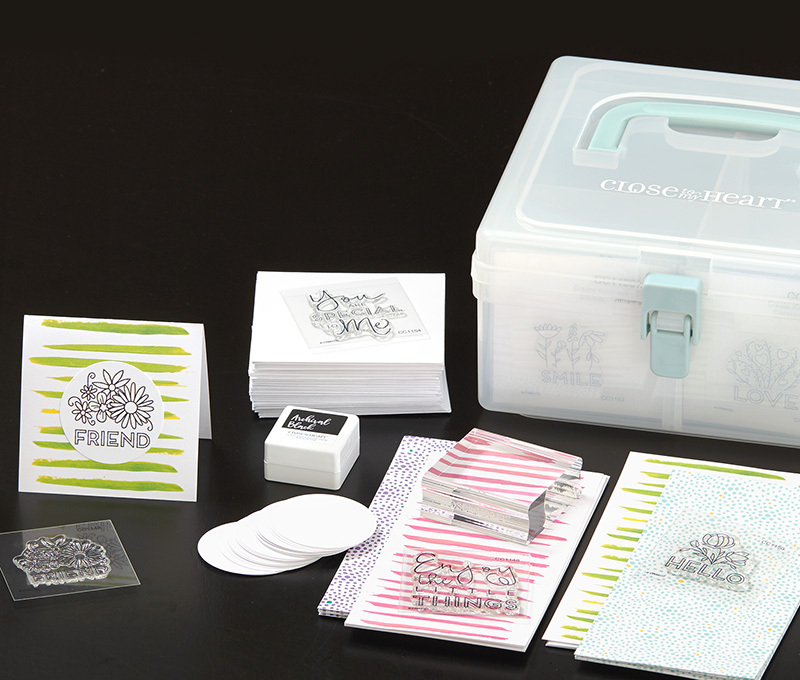 The kit comes with everything you need to create the cards including the stamp set, ink pad, stamping block, pre-cut circles, pre-printed card bases, and envelopes. You even get one of our small storage boxes! That comes out to less than $2 per card and you can use the stamp set, ink pad, stamping block, and storage box for more cards using your own card bases and paper. Can't get a deal like that at Hallmark! !